Members of the Energy4All Fens cooperative. 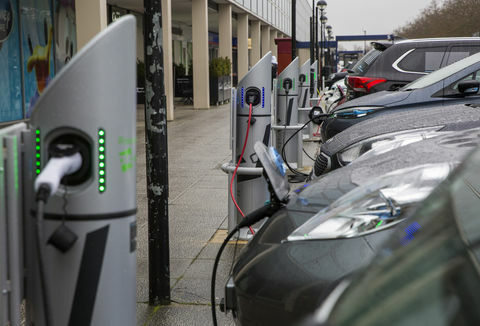 There is growing interest in the UK in investing in renewable sources of electricity, but not everyone has a suitable location to install renewable energy equipment, or sufficient money to pay for an entire system. Energy4All has dealt with these issues to enable community ownership of renewable energy. This is achieved by setting up co-operatives that own wind farm capacity and carrying out regulated share offers to allow communities to buy into them. 7,690 people have invested in Energy4All co-operatives. 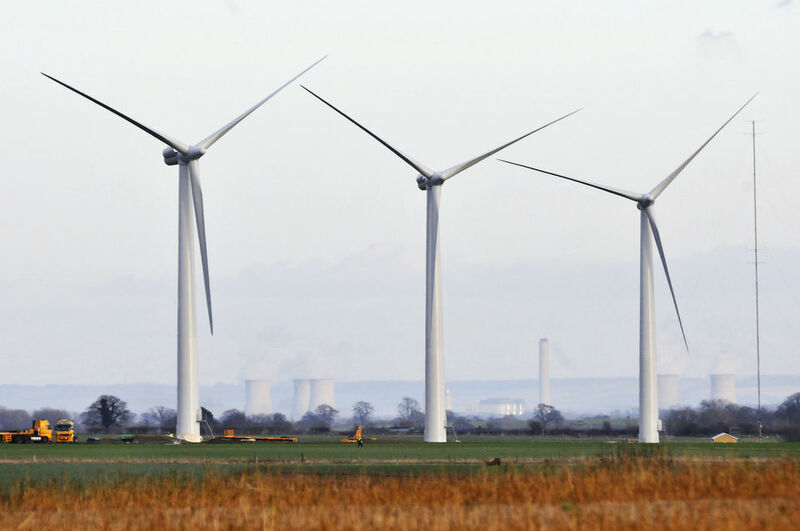 £16 million invested in wind energy. 19,500 tonnes of CO2 emissions avoided in 2011. People like to feel their investment is going into something worthwhile, as well as getting a reasonable return. With UK energy supplies declining, electricity prices rising and CO2 emissions still too high, it’s not surprising that a growing number people are interested in investing in renewable sources of electricity. However, not everyone owns a suitable house or land on which to install renewable energy equipment, or they may not have sufficient money to pay for an entire system themselves. Joint community ownership is possible, but significant legal, financial and technical issues need to be dealt with for this to happen, and development of community-owned renewables in the UK is far behind many other countries in Europe. Energy4All was set up to enable people to share ownership of renewable electricity generation capacity through becoming members of a co-operative. Energy4All was established in 2002 by members of the Baywind co-operative, which also provided the initial investment. It is a limited company, but its Memorandum and Articles commit it to operating on a non-profit-distributing basis. It has a relatively flat salary structure with none of its 13 employees earning more than three times the lowest salary paid and the directors’ emoluments are lower than in a profit maximising company. Each director has one share in Energy4All, and each co-operative it has founded also has at least one share, resulting in the company running in a similar manner to a traditional cooperative. Turnover was around £650,000 in 2011/12. The Energy4All philosophy is to provide a lifetime support structure for community ownership of renewable energy, combining business efficiency with co-operative structures and ethics. It uses innovative business models to establish co-operatives that can develop and operate renewable energy schemes on an efficient scale and overcome the substantial barriers to entry that typically face community groups. Uniquely in this sector, Energy4All has developed the expertise to raise capital through FSA-approved regulated public share offers. Uniquely in this sector, Energy4All has developed the expertise to raise capital through FSA-approved regulated public share offers. This process is relatively onerous and expensive, but has enabled Energy4All to secure commercial bank finance to assist co-operatives with the capital cost of their projects. It only supports renewable energy projects that are potentially viable businesses and not grant-dependent; to date, only wind power projects have met these criteria, though the introduction of the Feed-in Tariff may open other possibilities such as solar PV and hydro in the future. In particular it has provided long term support for the Findhorn community in its efforts to become self-sufficient in energy. Energy4All promotes co-operation between its member co-operatives in order to encourage best practice and mutual support. It also provides information and advice on renewable energy cooperatives to many organisations, from government departments to small community groups. In particular it has provided long term support for the Findhorn community in its efforts to become self-sufficient in energy. Energy4All has set up four different types of co-operative. In each case co-operative members can invest from £250 to £20,000, and if a share offer is oversubscribed, preference is given to maximising the number of local people sharing ownership. Co-operatives that wholly own a renewable energy facility are responsible for all stages in the project’s development, construction and operation, with support from Energy4All. For these co-operatives, the process usually starts with a group of interested individuals approaching Energy4All. If Energy4All takes on the project and the necessary agreements are signed, work starts on gaining planning permission for the potential site, and taking the steps required to set up a co-operative, including extensive financial modelling. If planning permission is granted, Energy4All manages the raising of the required capital finance through share offers and commercial bank loans. The co-operative launches a share offer document, which explains the model and the risks, before inviting people to invest and become members. Once finance is in place, work starts on implementing the detailed plans to build the wind farm. 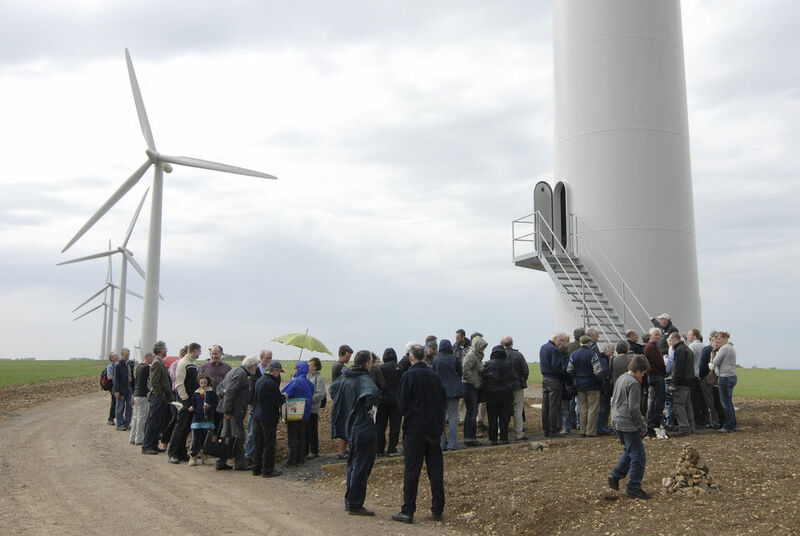 The timescale from initiation to commissioning for a wind project is often several years, making stamina a key attribute for both community groups and Energy4All. Local investors are very important, Westmill and Energy4All are a model for how community ownership of renewable energy works. Ownership of a complete wind farm is normally beyond the means of a community cooperative. Energy4All therefore developed a model in which the community owns one or more turbines in a larger commercially-owned project, with the main developer looking after the planning and construction process. After experiencing significant challenges with this model, Energy4All’s policy is now only to adopt such projects if the division of the site can be incorporated from the start, to avoid legal and financial complications. For remote areas where projects tend to be much larger, and populations much smaller, Energy4All has developed another unique business model, in this case with a commercial developer, Falck Renewables. This is based on a revenue-sharing agreement where the co-operative raises capital (around £1.5 million) to purchase a small stake in the project. Falck deals with the planning, construction and operation of the site, while Energy4All is responsible for creating, launching and supporting the new community co-operative. Energy4All works with Falck to introduce the idea of co-operative ownership to the communities. Energy4All works with Falck to introduce the idea of co-operative ownership to the communities, during the consultation and planning stages. Once the wind farm has approval and construction is starting, Energy4All then supports the co-operative board in marketing a share offer, so that by the time local co-operative members have bought their shares, the wind farm is ready to generate electricity. 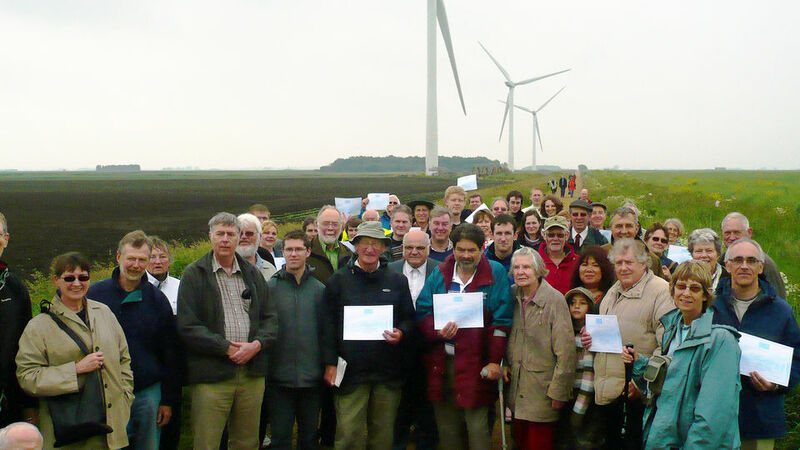 Fens Co-operative members visit their turbines. The majority of Energy4All’s revenue is earned through fees paid for development and for administration. Development fees are paid to Energy4All from the proceeds of the share offer, and are equal to around 5% of the full capital cost of the project. These fees cover getting planning permission, setting up the co-operative and running a share offer, which for a free-standing wind project can easily cost over £200,000. Administration fees are paid by the co-operatives to Energy4All to provide a package of management services. In this way all the co-operatives benefit from the economies of scale of having eight co-operatives in the Energy4All ‘family’. Fees vary according to exactly what is required and the history of the project. All of Energy4All’s established co-operatives are profitable businesses. Once a site is commissioned, all operating costs, and costs of finance, are taken out of the income from electricity sales. All of Energy4All’s established co-operatives are profitable businesses. Energy4All is currently managing eight co-operatives, with between 500 and 2,500 members each; in total there are 7,690 co-operative members, who together have invested over £16 million to buy into wind farms, (including £1 million in Energy Prospects). The equivalent total generation capacity owned is over 20 MW. In 2011 the total output from wind farm capacity owned by Energy4All co-operatives was 45,290 MWh. This renewable electricity avoids fossil fuel generation and its associated environmental impacts, including greenhouse gas emissions, local air pollution and the impact of mining and drilling. Energy4All uses a conservative figure of 430 kg CO2 e avoided per MWh of renewable generation. On this basis avoided CO2 emissions in 2011 were 19,500 tonnes of CO2 e.
At several of the wind farms with co-operative investment, measures have been taken to improve the habitat surrounding the turbines, to promote biodiversity. I feel so proud that my husband and I have enabled them to be part of the solution to the enormous problems that climate change is presenting humanity with, and I can’t thank enough all those involved, for making Westmill Wind Farm happen. Energy4All has brought behaviour change to the world of investment, by making it possible for people in the UK to invest in renewable energy generation with as little as £250. 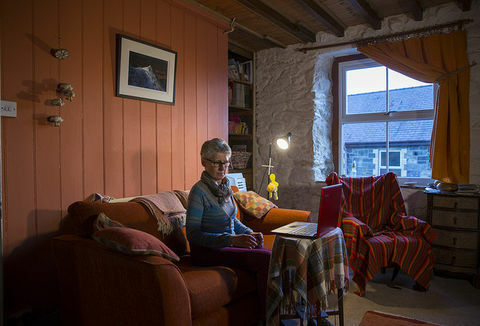 Energy4All estimates that an investment of £2,000 in one of its co-operatives enables the generation of at least as much electricity as an average UK home uses (between 3 and 5 MWh/year). When Energy4All sets up a new co-operative, the shares are marketed principally in the immediate vicinity of the planned wind farm, with limited publicity in the wider area, and the rest of the UK. This promotes local ownership of renewable energy generation, and also increases the acceptance of wind farms. Co-operatives donate a proportion of their earnings to charitable work focused on sustainable energy in the local area, for example installing insulation in community buildings, or sponsoring educational initiatives in local schools including site visits. In its relationship with Falck Renewables, Energy4All is also pioneering a new form of co-operation for mutual benefit of commercial and social enterprises. 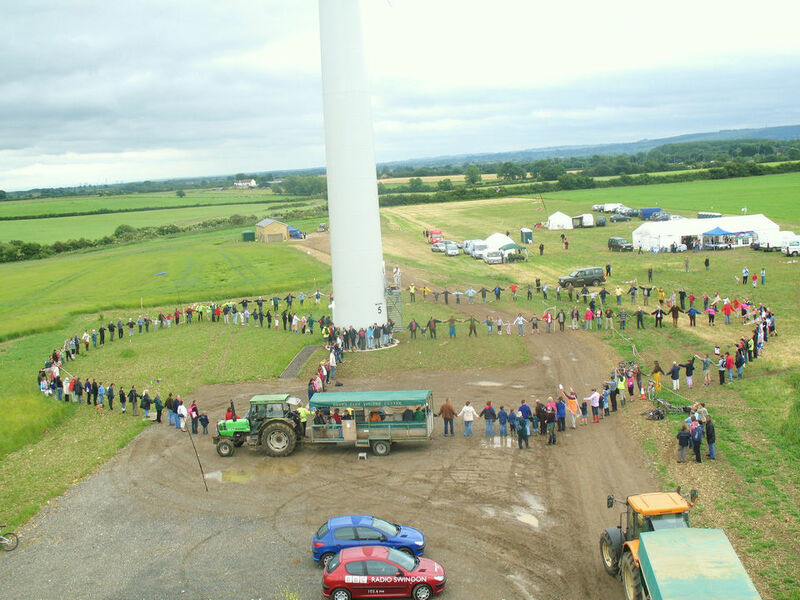 Community involvement: members of the Westmill Wind Farm Co-operative ‘hug’ one of their turbines. Energy4All co-operatives pay a return to their members, the level of which depends largely on the wind levels over time. There is also a commitment to return members’ capital at the end of the project’s life. By encouraging local ownership of wind farms, Energy4All ensures that more of the money earned from renewable energy generation stays in nearby communities. By encouraging local ownership of wind farms, Energy4All ensures that more of the money earned from renewable energy generation stays in nearby communities. Other local income is also generated through rent paid to the landowner, business rates paid to the local council, and any local staff employed for managing and monitoring of the wind farms. 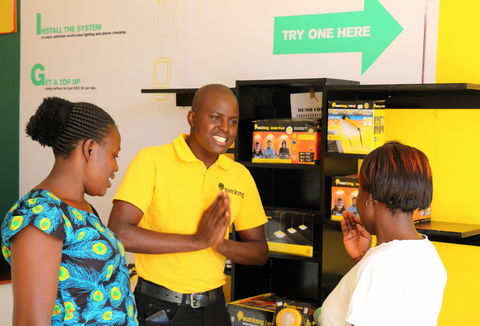 Jobs have also been created at Energy4All, with the staff growing from three when it was founded in 2002 to thirteen full and part-time employees in 2012. In the past, Energy4All was limited by finance in the number of co-operatives it could be setting up at any one time. 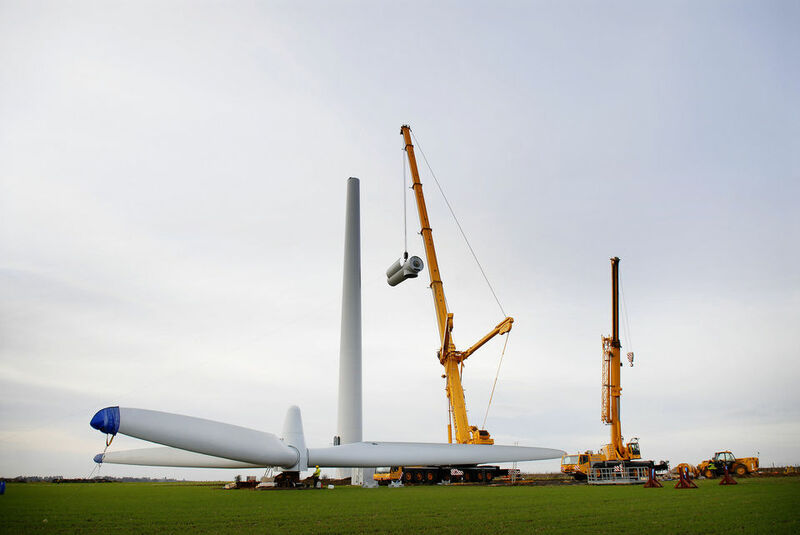 However, the partnership with Falck and the establishment of the Energy Prospects co-operative have alleviated this, since Falck funds the cash flow for launching co-operatives on its sites, and the Energy Prospects co-operative can fund the planning process for some new community owned wind farms. Energy4All has always been keen to include technologies other than wind power, but only technologies that are financially viable on an appropriate scale can be supported by the its model, due to the costs of running a regulated share offer. There may also be interesting new opportunities to develop regional co-operatives that link several individual turbines under the FiT regime.